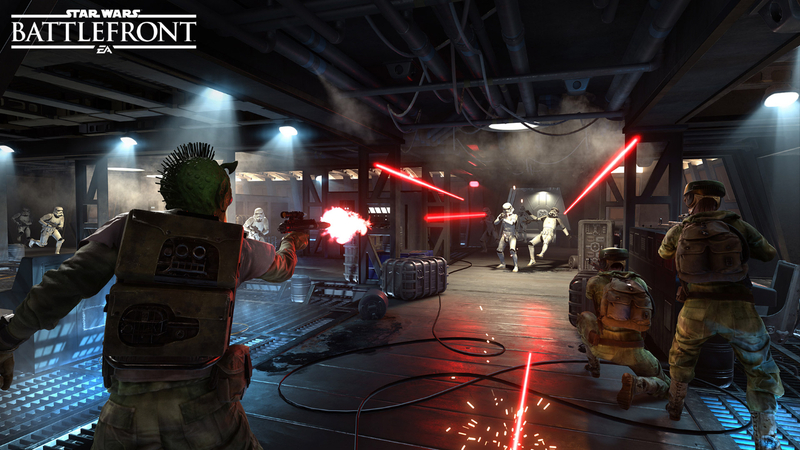 Star Wars: Battlefront announces new Team Deathmatch mode “Blast” + pic! When you’re hungry for a classic, challenging game mode within the Star Wars™ universe, there is one obvious choice: Blast. Star Wars™ Battlefront’s™ Team Deathmatch mode, Blast, pits the Rebel and Imperial factions against each other with intense 10 versus 10 battles. If your team reaches 100 kills, or are ahead when the 10-minute round is over, you’ve won. Immediate, addictive, and exciting until the very last kill; that is our ambition with Blast. Blast offers a lot of variety both in terms of gameplay and the unpredictable nature of the opposing team. Actual levels within the mode also happen to hold great variation as well. The amount of players for this mode seems to leave a lot to be desired but I’m sure it will still be fun playing “Blast” with our friends when the game hits (the other mode has 20-versus-20 for instance). Still, I’m very excited for this game and it is seems like it will be an excellent way to spend one’s leisure time in between new Star Wars films and reading MakingStarWars.net of course.